Adult Swim’s Singles Series is operating on a weekly basis this year, and so far their output does not disappoint: recent additions include songs from Julianna Barwick, D∆WN , Julia Holter, and Jlin. 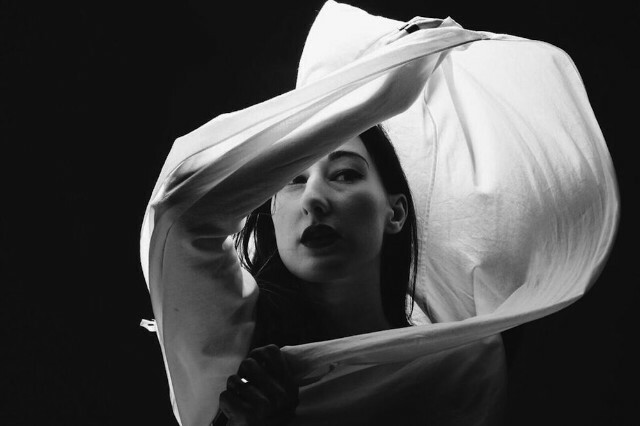 Today, Zola Jesus has released her contribution to the series, “Bound.” An atmospheric, industrial goth track, Nika Roza Danilova’s booming voice adds an element of humanity to the song’s kinetic, thumping progression. Listen below. Danilova has also announced a B-sides collection for her latest record, Okovi. The compilation, titled Okovi: Additions, will include four previously unreleased Okovi outtakes, including “Bound,” and remixes of album tracks by Johnny Jewel, Katie Gately, Wolves In The Throne Room, and Joanne Pollock. Zola Jesus has also announced a tour with Alice Glass, as well as a performance at Brooklyn’s House of Vans with Yves Tumor on Friday, February 23. View the album tracklist and upcoming tour dates below.